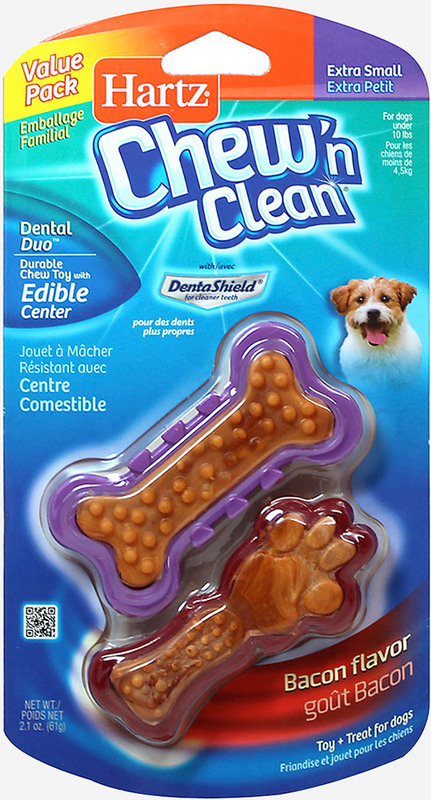 Hartz Chew'n Clean Dental Duo with DentaShield combines edible dental benefits with fun! Satisfies natural desire to chew. Chewing helps remove tartar, keeps teeth clean and exercises gums. The edible center consists of natural starch with no plastic fillers.